Comes with a handheld Vocal Microphone and stand. Application: Great as a public address system, conferences, presentations and parties. 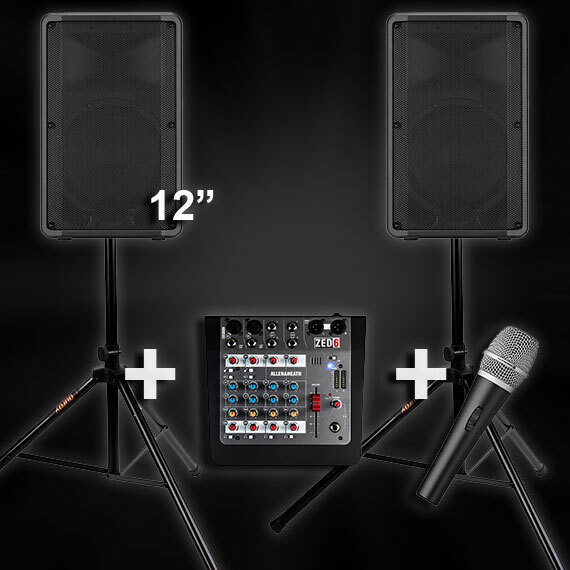 Have a look at our most popular PA System Hire package from Cam-A-Lot Rentals. This package offers exceptional value as it contains everything you will need at one low price. The package includes two 12” speakers which are self-amplified. A very easy to use mixer to connect your audio sources to and then send them on to the speakers. A handheld microphone with 10m cable and mic stand is also included. All the audio cabling you should need is part of the kit as well. 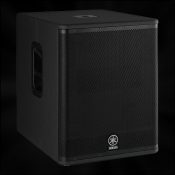 It is such a popular rental item as it represents such great value for people wanting PA System Hire. Professional equipment of a high quality is used for all our sound system rental gear. As a result, our PA System is easy to use and easy to setup and you should get crisp, clear sound from this setup. The mixer has several input options making it very functional. The handheld microphone is a vocal mic, which means it has a design and pickup field well suited to this system and public speaking. Self-powered 12 inch speakers will have ample volume for medium sized groups of people and venues. If you are looking for something a little more powerful for larger spaces, we offer 15″ speakers as well. You can also add bass to this setup, check out the subwoofers we also offer.